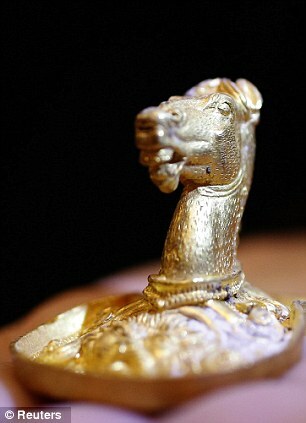 Archaeologists have unearthed ancient golden artefacts, including a tiara with animal motifs and a horse head piece, during excavation works at a Thracian tomb in northern Bulgaria. 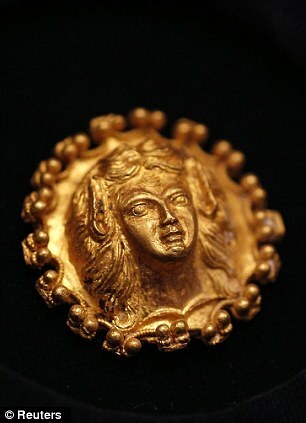 The significant finds are dated back to the end of the fourth or the beginning of the third century BC and were found in the biggest of 150 ancient tombs of a Thracian tribe, the Getae, that was in contact with the ancient Greeks. 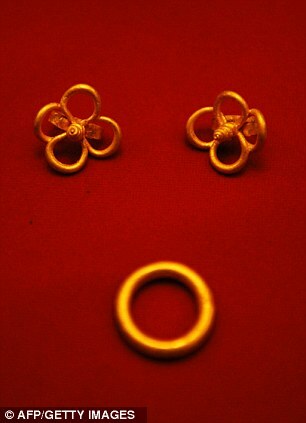 The findings, at the Omurtag mount near the village of Sveshatari, also included a golden ring, 44 applications of female figures as well as 100 golden buttons. 'These are amazing findings from the apogee of the rule of the Getae,' said Diana Gergova, head of the archaeologist team at the site of the ancient Getic burial complex situated near the village of Sveshtari, some 400 km northeast from Sofia. 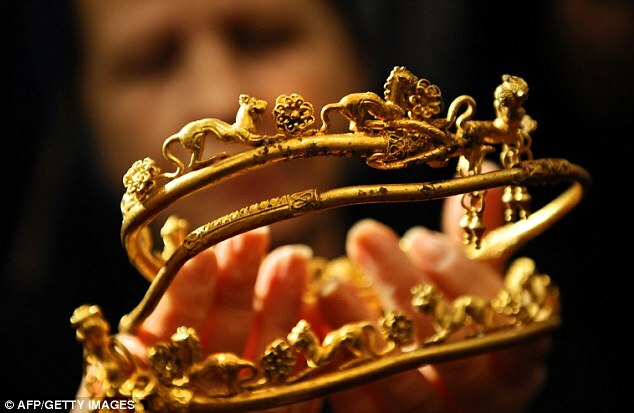 'From what we see up to now, the tomb may be linked with the first known Getic ruler Cothelas,' said Gergova, a renowned researcher of Thracian culture with the Sofia-based National Archaeology Institute. Gergova explains that it seemed the treasure was wrapped in a gold-woven cloth because a number of gold threads were discovered nearby. These were, most likely, remnants from a ritual burial, said the professor, adding the team expects to discover a huge burial ground, probably related to the funeral of the Gath ruler Kotela, one of the father-in-laws of Philip II of Macedon - Alexander the Great's father. She notes this is a unique find, never before discovered in Bulgaria, according to Novinite. 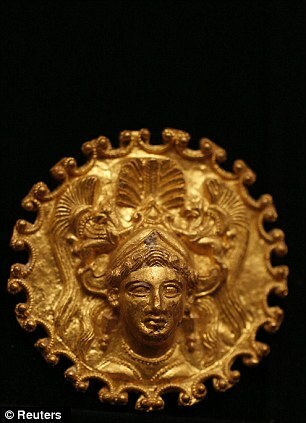 The find is so significant that Bulgarian Prime Minister Boyko Borisov has arranged to see it at the National Archaeological Museum in Sofia where the treasure is currently placed. Archaeologists have discovered a large number of artefacts in Bulgaria's Thracian tombs in recent decades, providing most of what is known of their culture, as they had no written language and left no enduring records.